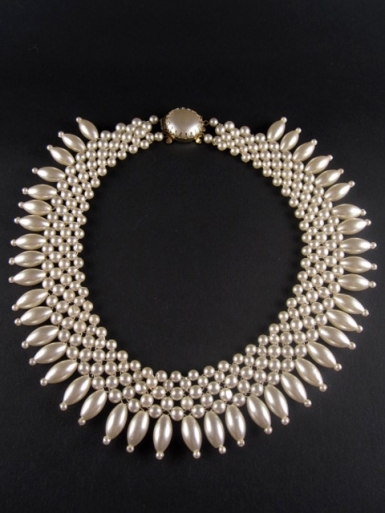 Vintage necklace in it's original form comprising plastic faux pearls, fits close to the neck. Perfect for a bride. Comes beautifully presented in a black and gold embossed fur-lined (faux of course! )box.